Last winter, for several months, I had the house completely to myself for the first time ever in my adult life and I relished every moment of that peaceful bliss. I started every day in meditation and connecting to my spirit guides. My life was in transition. My family has grown and gone and my job had just come to an end. Not having any outside responsibilities gave me the perfect opportunity to take the time to seek clarity in my life and uncover what was the next step on my life path. On a cold, gray January morning while sitting wrapped in a shawl and doing a chakra meditation aimed at opening and strengthening my energy centres, a voice spoke in my head, “speak your truth”. Great, what the hell is that suppose to mean! Have you ever been in denial? Like when your favourite shirt is too small for you but you still wear it telling your self that it doesn’t look that bad. Well that is how I felt about this answer to my life path query. My initial reaction was to deny that “speaking my truth” was what I needed to do. I was kind of expecting a more straight forward answer like “you need to start a business” or ” travel the world” even ” go work at Walmart” would have been a more predictable response than the one I got. I was looking for easy, and for me, speaking my truth was not an easy answer because deep down inside I understood what this meant and how this would effect me moving forward in my life. Speak your truth is not the same as being truthful. I do my best not to lie. 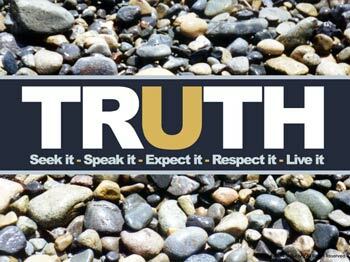 To me speaking my truth means living in integrity to the truths and principles that one operate their life with. You have to walk the walk and talk the talk. Now the universe is telling me to please myself? My initial reaction came from my old perspective of pleasing others. I worried how other people would react to me speaking my truths, being true to myself first and following my own bliss. Past experiences have taught me that whenever you step out of other people’s comfort zone of how they expect you to behave, you will meet with resistance. Would they shun me, gossip about me behind my back, openly criticize me? Where do I get off putting my hopes and dreams first? Based on the thirty year old pleaser program looping in my head, what the universe was asking was harder than you might think. Working for Walmart was starting to look pretty good! In order to speak my truths I had to know my truths. Instead of pleasing others as my main focus in life, I had to figure out what pleased me. Only then could I move forward on my life path as I was meant to and experience what I am here on earth to experience. There are three sides to every story; yours, mine and the truth. In his book, Energy Work, The Secrets of Healing and Spiritual Growth, author Robert Bruce asks to always stay in the question. It means to never consider that you know everything about anything, to never completely shut off the question. If you stay curious to other possibilities, you will always be open to different points of view. This is an important concept to me because a life path implies a journey. The view changes as you move forward. What you might consider a large mountain at the beginning of the trail becomes a small foothill further along from a different angle. Which perspective is the truth? The answer is both. The real truth is that you are willing to acknowledge the mound both ways. I have become a recovering people pleaser. I can no longer ignore the voice. By learning to speak my truth, I am choosing to embrace my fear of other’s opinions of me and do what is right for me anyway. By staying curious and asking questions I am clarifying what it means to be true to myself so I can live the next chapter of my life as I was meant to. I am no longer in denial. My first truth? A career at Walmart is definitely no longer an option.